“A big reason for this is that given their reputation for frequent reproduction, bunnies represent fertility and new life, just like eggs do, which are big themes of springtime and the Christian belief in Jesus’ resurrection”. The reason is because the German supermarket Netto released the best advert for Easter 2017! 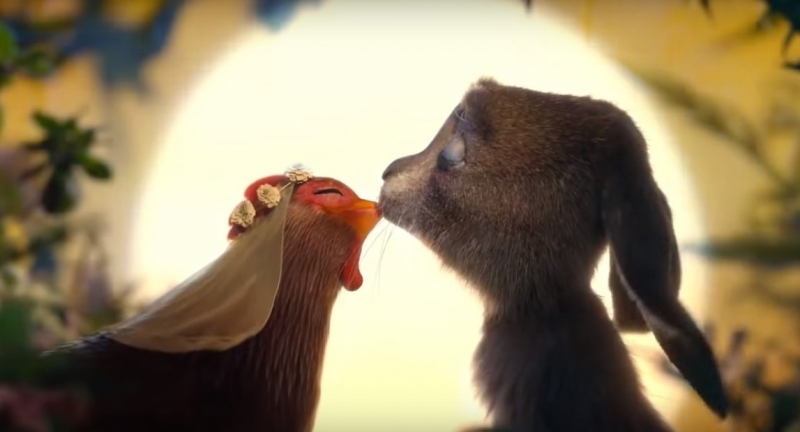 It’s a beautiful story of a hen and a bunny that fell in love. They brought to the world a little bunny who laid colourful eggs in the most unexpected moments. It caused him a lot of bullying at school and emotional trauma. It’s a very emotional ad with a happy ending of course. Not only because it was recognised the best but mostly because it raised a difficult matter of diversity. Just a week later, on the 6 April 2017 BBC news published an article entitled: „From Pepsi to Nivea: Some of the worst advertising fails”. The list is pretty long and mostly concerns among others insulting of being a gay man, accusations of racism, trivialisations of serious problems and damaging a dignity of a persons used in an ad. Everyone smiles happily at the end, especially during Easter! Happy Smiley Easter!